Remembering the special moments in your life is important, and capturing them with a quality mobile lens will help you remember and reminisce on the good times for the rest of your life. 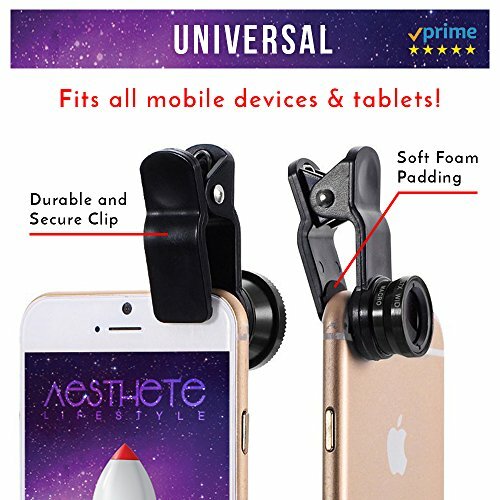 IMPROVE YOUR PHOTOGRAPHY: Take your mobile photography to a whole new level with the Aesthete Lifestyle Universal 3-in-1 Smartphone Camera Lens Kit! 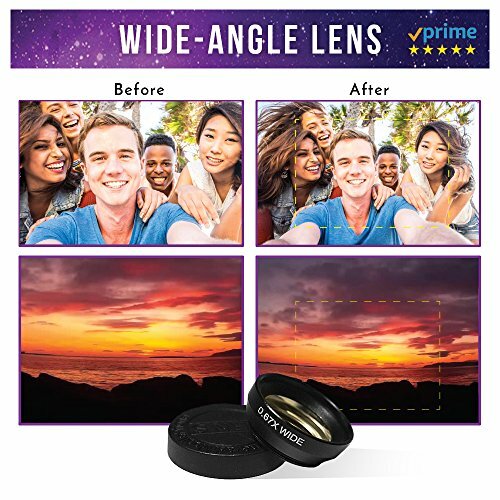 SATISFACTION GUARANTEED: We’re so confident that you will absolutely love this product, our Universal Lens Kit is backed by our 30 day money back guarantee with 1 year free replacement warranty. 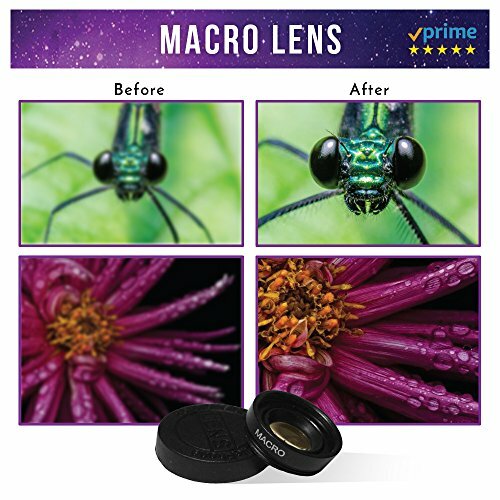 LIGHTWEIGHT AND PORTABLE: This lens kit comes with a compact and lightweight microfiber bag, so you can carry them with you everywhere that you go and not have to worry about them being in the way or getting scratched while you are out on an adventure. THE CHOICE IS YOURS: This kit comes with 3 awesome lenses: a Macro Lens for 15x close up photos, a 0.67x Wide Angle lens for capturing group selfies or landscapes, and a Fisheye Lens for shooting warped spherical pictures. Whatever your desire is, you have a lense to help optimize the quality of each and every photo. 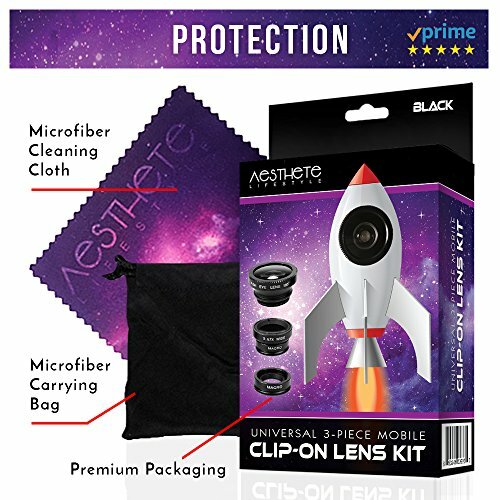 WHAT IS INCLUDED: Included in this kit, you will find your 3 lenses with lens caps for each, a universal clip (lens holder), a custom microfiber cleaning cloth, and a drawstring microfiber carrying bag all packaged in a beautiful external box. Add this item to your cart today, and say goodbye to the mediocre mobile photos of the past. 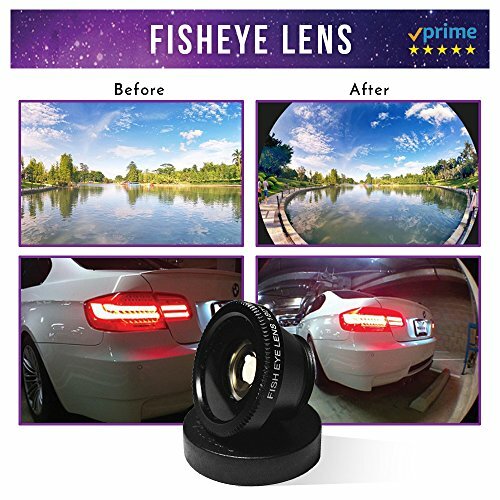 ✅ TRULY UNIVERSAL; This Lens kit was made to fit just about any mobile device out there including iphone 5/5s/6/6s/7 plus, Samsung Galaxy s7/s8, all android devices, and even ipads and tablets so you will never have to take a basic photo again.